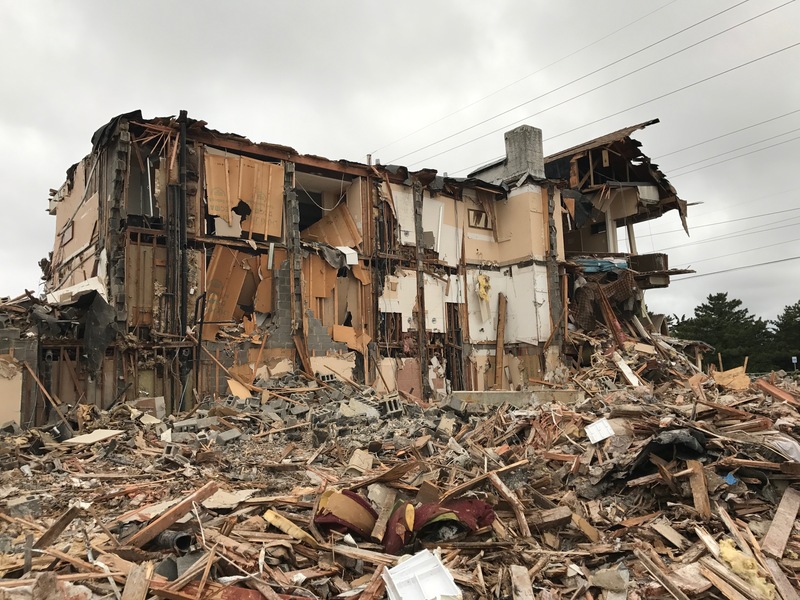 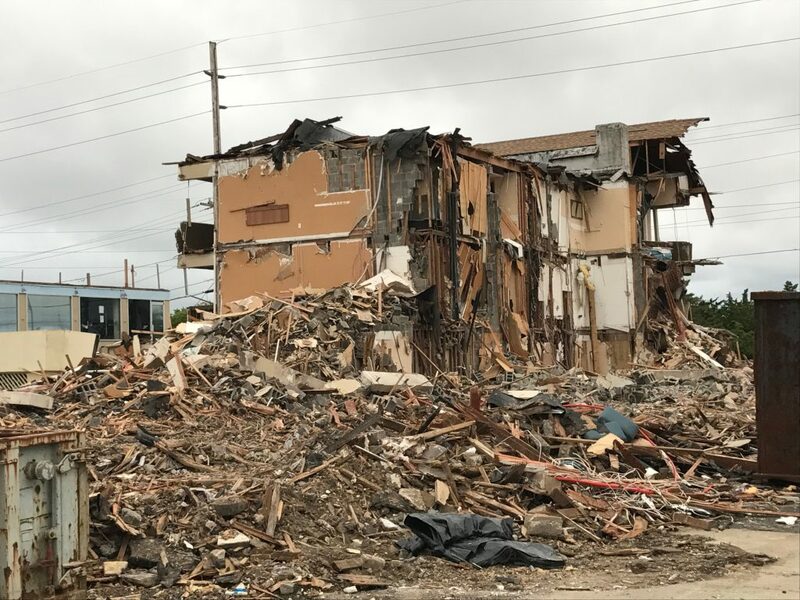 A motel that was once a hotbed of police activity, drug abuse and vagrancy is no more – perhaps the largest example to date of the turnaround of Seaside Heights. 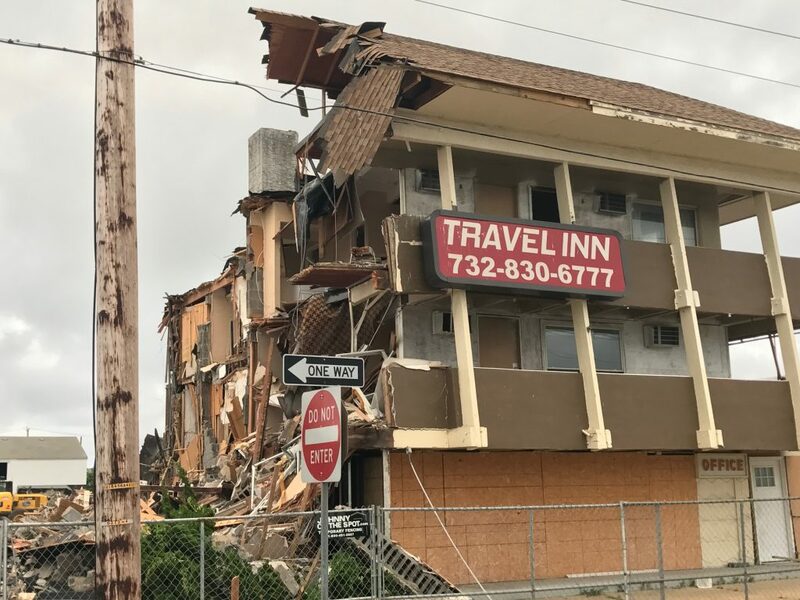 After declaring the motel property an area in need of redevelopment, borough officials condemned the blighted building – known as the Travel Inn, Travelodge and Village Inn over the years – and sold the property to Walters Group, which will develop a state-of-the-art, 92-unit senior citizen apartment complex at the site. 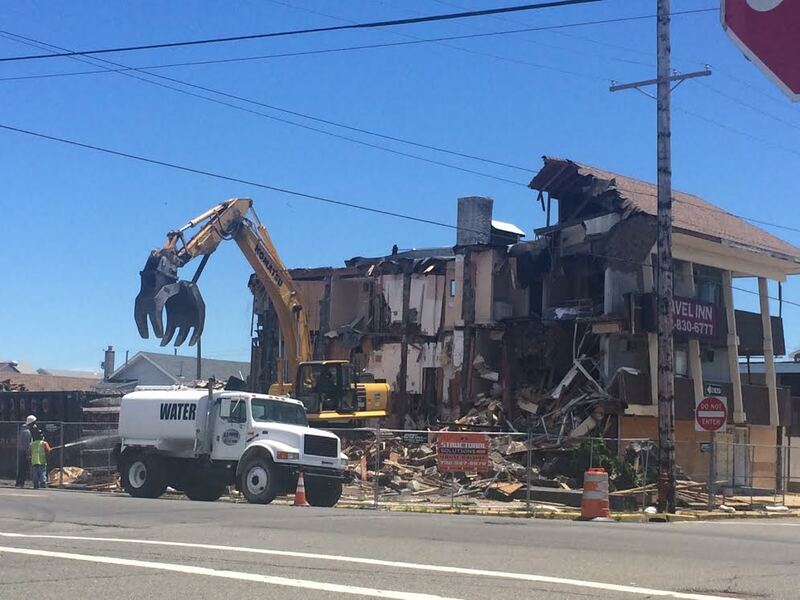 Demolition crews have been working on the site for several days. 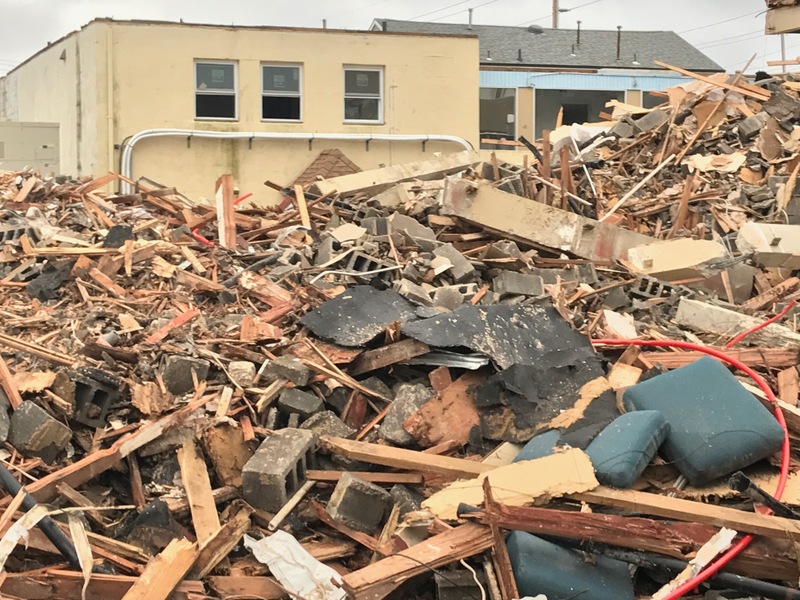 The Seaside Lumber property, whose owner decided to sell to Walters Group as part of the project, has already been cleared. 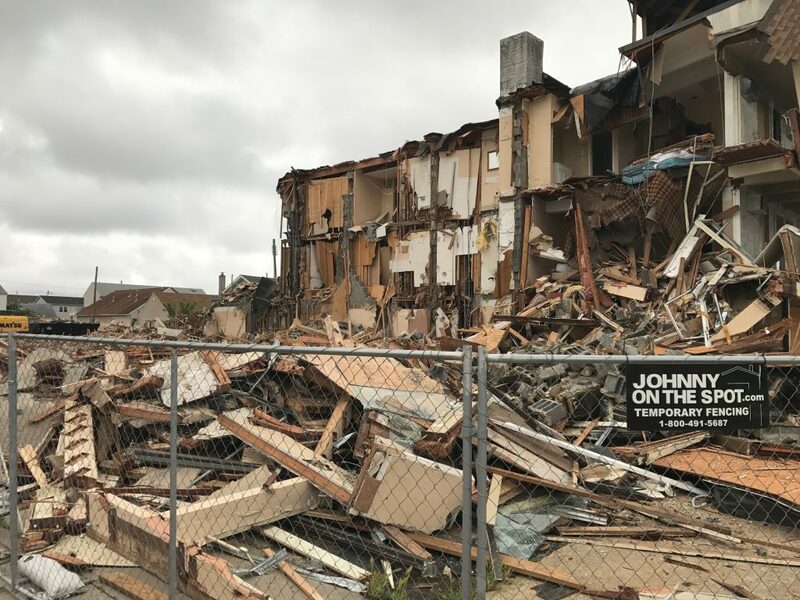 The future apartment complex, known as the Seaside Senior Apartments, will be age-restricted as well as income-restricted and will be open first to Superstorm Sandy victims, then Seaside Heights residents, followed by Ocean County residents.